Used in contemporary residential architecture in factory design, flat roofing solutions are increasingly used in modern architecture as a viable, and often times, PREFERRED alternative to the pitched roof. An architect may want to use a flat roof to accentuate clean lines while a business may prefer the space savings and easy maintenance of a flat roof. If you’ve ever considered a flat or slow angle roof, read on as we explore the advantages and disadvantages of the low profile roof and explain how material improvements and application methods have made this option much more accessible to customers. For cost conscious business owners looking for maintenance-friendly roofing solutions it’s hard to beat a flat roof design. While flat roofing may take more of a direct beating from weather than pitched roofs, any maintenance is relatively easy since a maintenance crew can simply walk the roof. Additionally the newer materials used by today’s roofers includes warranties of 15 to 20 years, approaching that of the pitched roof alternatives. Roofs that are flat also have the added advantage of space utilization above and below the roof. In most cases factories use the flat roof space to store their larger HVAC or control systems and again, since the flat roof is so accessible, maintenance on these systems are easy as well. Many forward looking business are taking flat roofs to the green level by using this space to incorporate gardens or grass. Also known as “Green Roofing”, plants are grown on a layer of engineered soil for nourishment and rain for water. This option not only helps the environment by filtering the rain water and reducing their carbon footprint, it can be a direct benefit to the business’ bottom line. The extra layer of soil and vegetation reduces heating and cooling costs and is considered a tax write off for US businesses. According to the Energy Policy Act of 2005 businesses can realize up to $1.80 (c.2016) per sq/ft for green roof projects that meet or exceed ASHRAE standards. Also, be sure to check with your local municipality for any additional benefits where progressive cities like Austin and Chicago are offering their businesses added tax benefits at a local level. As the go-to option for many modern architects, roofs that are flat offer not only aesthetic appeal but improved space utilization for things like rooftop gardens and solar panels. Unfortunately over the years, residential flat roof solutions have earned the dubious distinction for leaking like a sieve. Recent improvements in engineered coatings, insulation and application techniques however have homeowners and contractors taking another look. Luckily customers today have a number of flat roof substrate choices to fit their specific roof cost and functionality requirements. 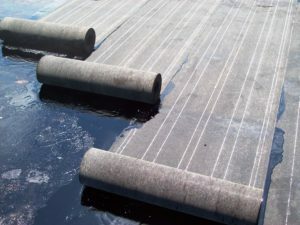 Among the most common include Built-Up Roof (BUR), Modified Bitumen, and Rubber Membrane (EPDM). This type of roof is popularly known as the hot-tar-gravel roof, which is made of multiple waterproof materials like fiberglass and asphalt, strengthened with smooth river stone or gravel and hot tar blend. Advantages: Stone or gravel is a good choice for flat roofs used as and additional outdoor living space like a sunning deck. The insulation benefits are good, and lend to the use of outdoor gardens. Disadvantages: Can be expensive considering the option chosen for covering. The gravel or stone used can be very heavy and additional supports on the roof structure may be required. Locating leaks under gravel can be difficult. Modified Bitumen roofing is made of a single-ply rolled roof that has a similar profile to ice-and-water-shield. The material is made with contemporary Torch-down heat technology thus maintaining the interior temperatures. To finish it up, the roofing fabric is created with mineral-based wear surface for elegant finish ups. Advantages: Cheaper than EPDM rubber, bitumen roofs are relatively easy to install and can be done by a homeowner. It’s available standard in light colors helping to reflect sunlight to reduce energy costs. Disadvantages: Application need to be done using a blow torch and tends to off gasses during and after application. High maintenance costs than EPDM since it is not as tough a material as EPDM rubber. 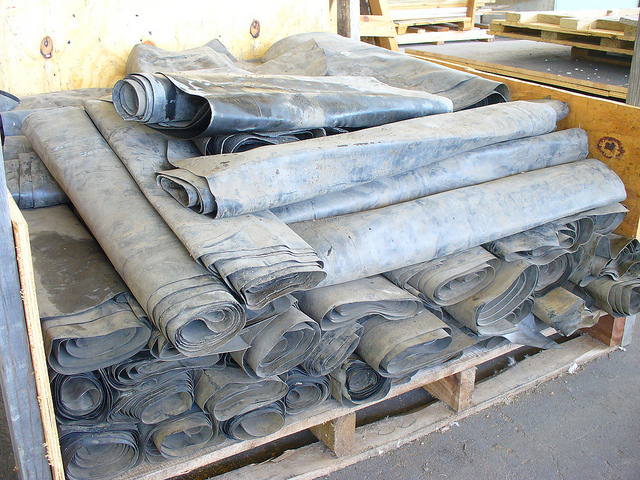 The main material used for this roofing is Ethylene Propylene Diene Monomer (EPDM), which is considered to be a natural rubber. Its properties enable the rubber membrane to have a long life and sunlight resistant capability thus eliminating possibilities of being damaged. 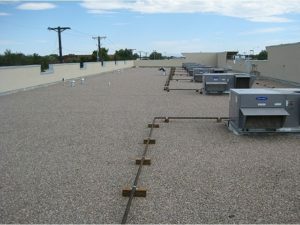 The roof can be fixed with fasteners, glue, or ballasted with stones. Advantages: Like Bitumen roofs, EPDM is easy to install. Higher resistance to punctures relative to Bitumen and patching any leaks is pain-free (if you can find the leak). Disadvantages: VERY difficult to find leaks with tons of seams, creating possible leak points. Costs more than Modified Bitumen. Industry standard color is black. Custom colors like white typically cost more money. Even though it’s been on the market for over 20 years, TPO roofing is still considered by many industry professional as the untested new kid on the block. Also known by is chemical compound: Thermoplastic Polyolefin, TPO roofing has a proven advantage of good insulation, high sunlight reflection and easy installation. And as more and more professional and homeowner alike get used to the idea of TPO, we’re likely to see the relatively high cost come down in the near future. Disadvantages: Costs are a bit higher relative to other alternatives. As a roofing contractor, it has been exciting to see where these new products have taken the industry. As the material and manufacturing technology gets better and better, expect to see prices come down even more with and an increase in demand for flat roof installations, especially in the residential construction field as tastes move more towards contemporary designs. Looking for a qualified flat roof specialists for your home or business? Give Roofing TRI a try! We service the Durham, Raleigh and Chapel area and would be happy to talk to you about your specific needs. We’re happy to give out free advice too! 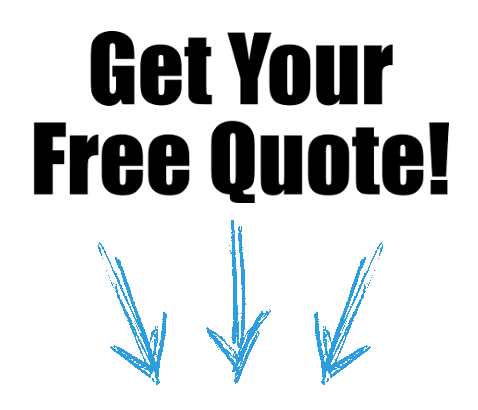 Call us today at (919) 296-0017.